Hot Corn Dip is the delicious appetizer that you’ve been searching for. This dip is easy to make and will please a crowd of your friends! I am always looking for new super easy appetizers to make and this Hot Corn Dip has been on my mind for a while. In our house, dairy free vegan appetizers are always on my radar, as are non-dairy appetizers as well. (I have to have a variety!) Truth be told, I really love the taste of gluten-free dips. I can’t honestly taste a difference, I love knowing that I’m putting goodness in my tummy that my body loves as well. With football season and tailgating coming up, it’s important for me to have a plethora of gluten-free appetizers for parties and events that we want to attend. Have you ever been somewhere and you can’t enjoy any of the offered food? It’s really not that much fun, is it? 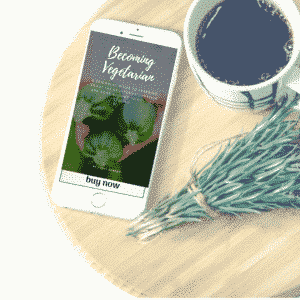 That’s why I always try to plan ahead and stock up on some fun vegetarian and vegan appetizer recipes that are also gluten-free recipes as well. I love to have easy game day appetizers that everyone can eat. One can never have too many gluten free dairy free appetizers right? Right. And if you are anything like me, you are a snacker? I seriously cannot say no to a good spinach dip. Seriously, it’s one of my weaknesses! Superman has kryptonite, and I have spinach dip. I make this one with spinach and asparagus that is amazing! Have I mentioned that I’m already planning ahead to Super Bowl Sunday? Seriously, my big game day appetizer, finger food and dip list is already about a mile long and growing each and every day. Do you know what I love most about this recipe? It’s simple. I feel like I’m always saying that about my recipes, but it’s the absolute truth. I love how simple this recipe is. The ingredients are simple, the process is simple, but trust in the fact that the taste is quite complex! While the variety of ingredients can vary a bit to add, I like to make this with some canned green chilies from our pantry, some frozen corn from our freezer and some fresh ingredients from the fridge! During the summer months, I’ll serve this up with some freshly roasted chilies well. The flavor is out of this world! And while this does taste amazing with tortilla chips, it’s also darn good on deviled eggs and in stuffed mushrooms as well. Seriously, this dip can go just about anywhere and taste like a million bucks! It’s a very versatile gluten free party food. And just like with any amazing dip, you need a fabulous dipper! Let me let you in on a little secret, the longer the chip, the more room there is for a dip, right? Don’t waste your time on those broken ones! Leave those crumbs at the bottom of the big and aim for the perfect triangles! To compliment this dip, I turned to my reliable chips from Beanfields Snacks. These crunchy chips are gluten-free and vegan! Plus, they taste absolutely amazing and are the perfect bite size. These chips are certified gluten-free, vegan and Non-GMO project verified. Beanfields Bean and Rice Chips make many delicious flavors of chips so make certain to check out all their delicious options! These are perfect for all of your vegan recipes that require a dipper. For this recipe, I choose to bring two of my favorite flavors together to compliment my corn dip! Sea Salt and Black Bean Sea Salt. Yum, yum and yum. I always like to ask friends that have tried my recipes if they have any tips for others and one tidbit of information that I learned was that this dip also tastes well on a sweet potato chip, too! The sweet flavor seems to compliment this Hot Corn Dip with ease! As you read through this recipe, feel free to add your own style to make it your own. Like I said, this is a versatile dip recipe that can be as simple or as fancy as you want it to be. Are you hungry for the recipe? What are you waiting for? Get it below and start making up this amazing dip! Let’s DIG into this dairy free appetizer! 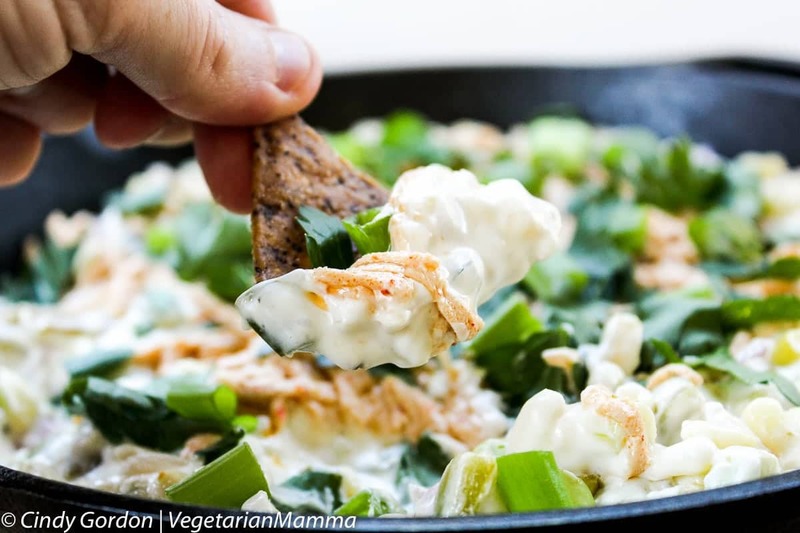 Hot Corn Dip is the delicious dairy free appetizer that you've been searching for. This dip is easy to make and will please a crowd of your friends! 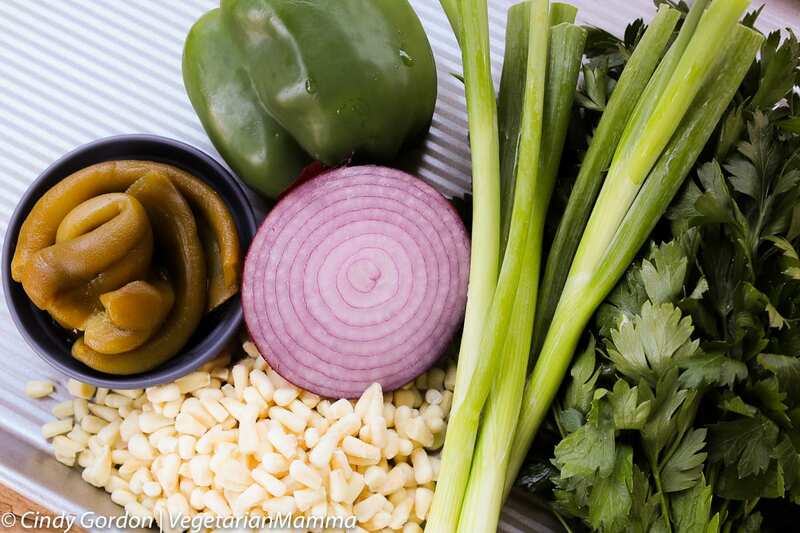 In a skillet over medium heat, saute the red onion, green bell pepper and olive oil until veggies are soft. Stir in corn to heat. Mix in the cream cheese, mayo and sourcream to the skillet mixture. Stir to blend into the skillet mixture. Next, add in the diced green onions and green chilies. Mix well. Add the pepperjack cheese. Do not stir, leave on top. 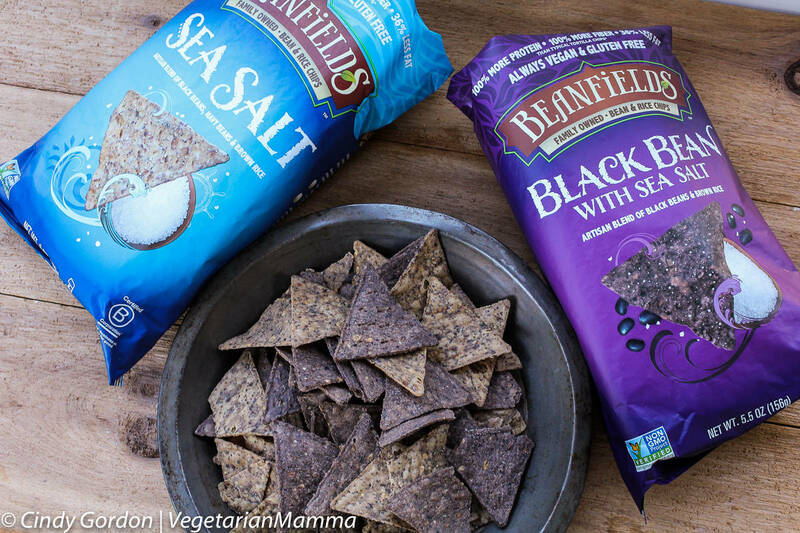 THANK YOU TO BEANFIELDS SNACKS FOR SPONSORING MY RECIPE AND SENDING US OVER SOME DELICIOUS CHIPS! 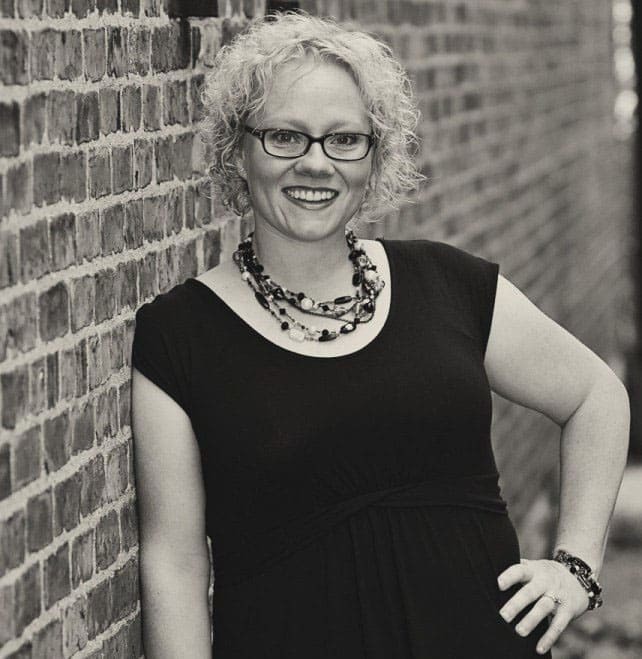 I AM PROUD TO BE A BEANFIELDS SNACKS BLOGGER! Wow!! I can’t believe that you made everything with vegan ingredients!! I would never guess that!! It is SO delicious! Thanks for stopping by and checking it out! This looks wonderful! What a great option to have for my lactose intolerant friends. I hope they love it, thanks for sharing with them! Now this looks fantastic. I think this would be a perfect dip for any game day or even holiday party. Love the bean chips with this dip. Crunchy and delish. Yum. Yes, perfect for game day also! Your corn dip looks delicious and easy to make. Love the textures and flavors. This is the perfect appetizer for any party! However, while holidays are coming. This will be perfect for holiday party gathering. This looks so scrumptious, and I love the Mexican twist. Okay, putting this on my to-make list for girls’ night in! Thanks Taylor, I hope its a hit for your friends! What a great idea. 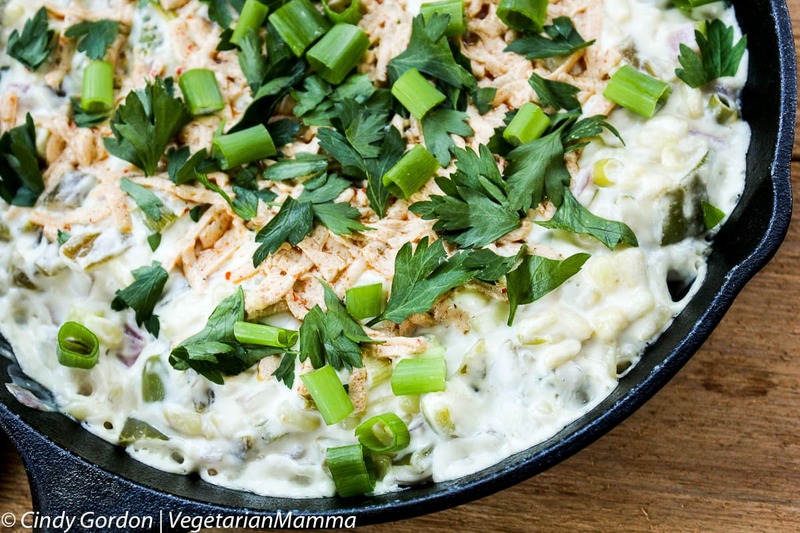 I know it’s so hard to make a dairy free dip but this looks so delicious! So many holiday parties coming up and I will be trying this one! Thanks Karen! I hope you love it! I have not tried Beanfields snacks yet. They look as good to me as your dip does. Tasy and appealing which we would devour and savour. No one would miss the dairy. I really want to try this. 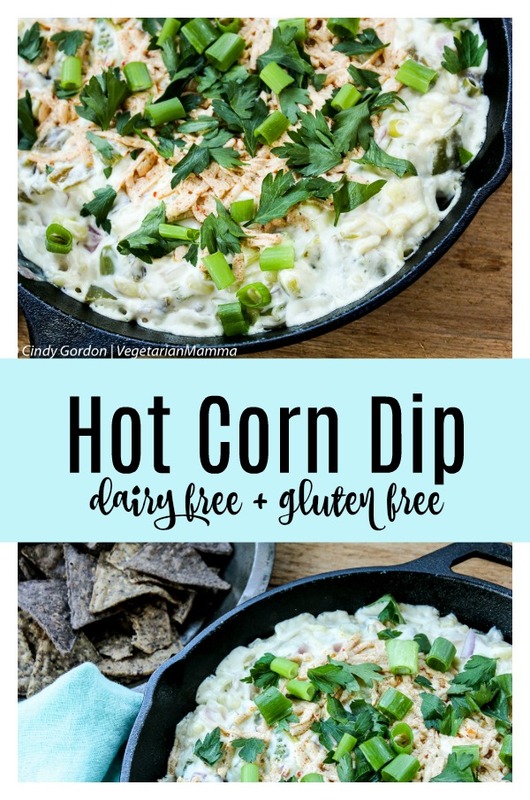 I have never tried a corn dip but this looks great! You can never have enough dip recipes. I love a good corn dip, and this looks delicious. With football season here, I need to make this ASAP! Agreed, you can never have enough! I love that this is all vegan! I’m so excited for football season – I watch *almost* solely for the food – ha! Adding this dip to my list of apps to make this season! Ha, I am with you on the food. I come for the food! ha! Yum Cindy! 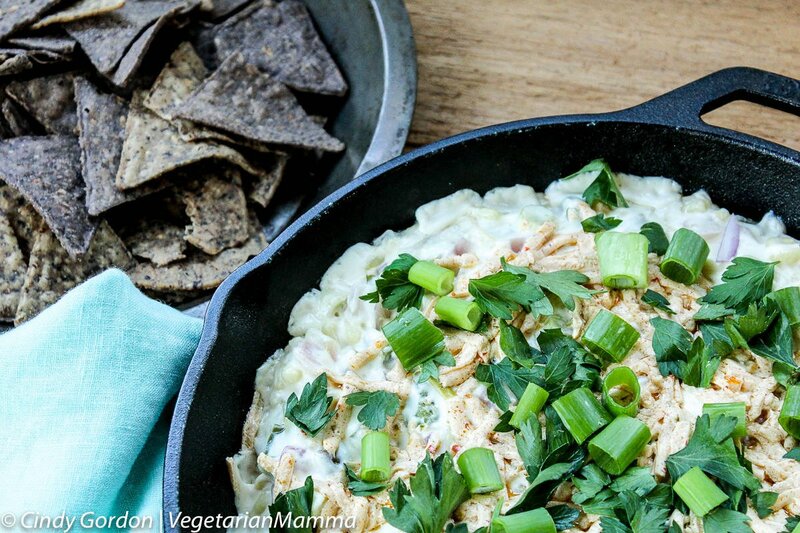 Love the idea of a vegan hot corn dip! I make a non vegan hot corn dip and it’s quite a hit at parties. 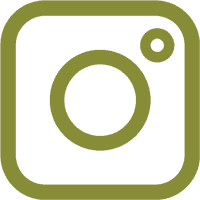 I need to try yours sometime…just pinned! For sure, perfect for game night! Oops ~ meant to ask: Do dairy free items have gluten free soy in them? Hi Sherri, it depends. Some dairy free items are made nut-free and often times have soy. The ones made with nuts are often soy free 🙂 Its kinda a toss up. I can help you search for one if you like. Let me know! I am not vegan nor is anyone in my family. I am however dairy free due to an allergy. I have made this dip going on 4 times. 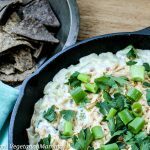 My meat eating husband craves this dip. I’ve made it for parties and it is always the biggest hit. No one ever believes me when I tell them it’s vegan. Thank you for creating this gem! You are so welcome!! I am so happy that you make it over and over again and love it so much! I also love to hear that your meat eating husband craves this dip! That is great!! Thanks for coming back to let me know! Comment from email submission: Hi Cindy. 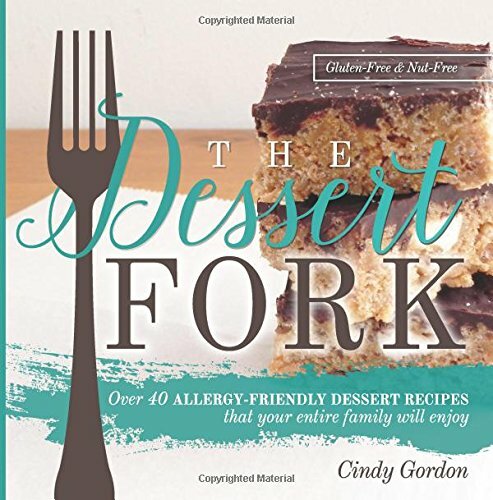 My family is on a journey right now eliminating many of the most common allergens. 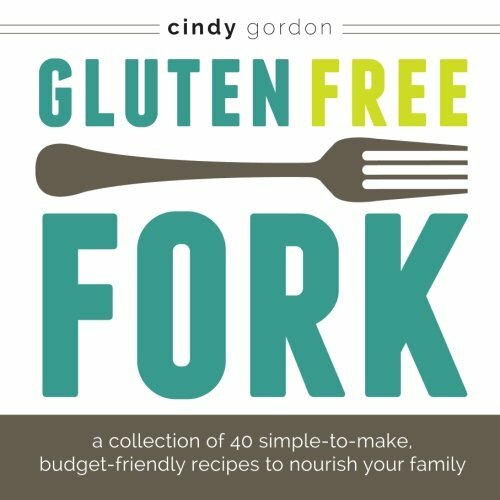 With Superbowl Sunday and our annual party quickly looming, I hit the interests looking for gf, df, delicious-sounding recipes. I found your “Hot Corn Dip – DF and GF”. My last experience with vegan cheese was nasty, I threw it in the trash. This time, I was determined to try again. I went on line look g for reviews of the vegan cheese available at my local store with a health food section. They gave the thumbs up to several kinds, so I got all the df ingredients I needed. You were right. This dip was a huge hit!!! Thank you.❤👍 – J. S.